Posting will be light-to-nonexistent here until after the new year, but I want to put this up before I forget it. In my latest Sandman Meditations piece, I discussed the unconscious shame of reading comics in certain settings, and at the end I promised I would read some old G.I. Joe comics while my students worked on their final exam activities. I was bored with the old look of this site, so decided to change things around a bit. (If you're reading this via RSS or a mobile device or something, check out the actual website to see.) There may be some adjustments as I try it out on other computers and browsers, but for now this will do. Until I decide to go all neon green. Because clearly the internet needs more neon green. Questions of literary canonicity have been stalking me for the past few months, mostly in relation to teaching. Some I began thinking about because I was designing a course called Currents in Global Literature, and when faced with giving English majors perhaps their only taste of writings from beyond the U.S. and U.K., I had to figure out my priorities. In the introduction to the Penguin Classics edition of Petals of Blood, Moses Isegawa calls the novel "the definitive African book of the twentieth century". I would only disagree because I do not think there is any one definitive African book, nor should there be -- one of the problems African literatures face when sampled here and there is the tendency for one or two books to be seen as giving some sort of definitive portrait of a continent of over 50 countries, a billion people, and thousands of languages. Petals of Blood is capacious and brilliant, but it's not definitive. Things have been mostly quiet here for a few months because of general busy-ness on my part since September. Not just with teaching, though that has eaten up more time than usual, but also with my membership on the jury of the Shirley Jackson Awards and the board of our local domestic violence shelter and resource center, Voices Against Violence. (Operating a domestic violence shelter and resource center that offers entirely free services in these economic times in a state where the legislature is full of anti-government, anti-spending fanatics is not the easiest job on Earth.) Free time and sleep have not been things I've experienced much for the past few months, and that took a toll as well, since I'm now recovering from a rather nasty virus. But we soldier on! Buy Yourself a Holiday Gift! And Something for Everybody Else You Know, Too! Terri Windling is facing health and financial problems right now, and so a bunch of folks have banded together to create a giant auction of stuffs to raise money for her. If her name is unfamiliar to you, check out her Wikipedia page for a quick summary. 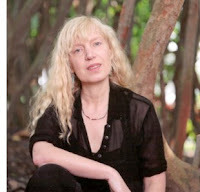 I don't know Terri Windling, but she has been a great help to many of my friends in their lives and careers, so I am distressed to hear of her distress. I've got dozens of books in the house with her name on them, and far more with her name on the acknowledgments page. Therefore, I decided to contribute an item to the auction, something I've had for a while and have been looking for a good cause to which to donate it. This seems perfect. Thus, if you would like to bid on a copy of Startling Mystery Stories with Stephen King's second professionally-published story in it, follow this link. This issue of Startling Mystery was the first magazine where King's name appeared on the cover. Consumer-citizens of the United States, rejoice! Criterion has announced that they will be releasing Rainer Werner Fassbinder's wonderful science fiction epic World on a Wire in February. Diligent and obsessive readers of this here blog may remember that I swooned over World on a Wire both here and at Strange Horizons back in September, and I remain as swoonful toward it as before. The DVD/Blu-ray will include a 50-minute documentary about the film by Juliane Lorenz, one of Fassbinder's most frequent collaborators and the head of the Fassbinder Foundation. Lorenz has created documentaries for some of the other DVD releases of Fassbinder's films in the U.S. and elsewhere, and I've enjoyed all of the ones I've seen, so am looking forward to this one quite a bit. 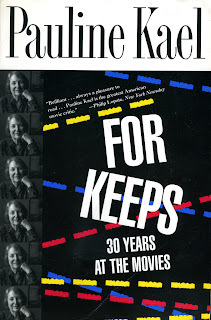 Seventeen years after her last book and ten years after her death, Pauline Kael's name is hard to avoid right now if you read culture magazines or blogs. That's because of three books that came out in October: The Age of Movies: Selected Writings of Pauline Kael, edited by Sanford Schwartz and published by The Library of America; Brian Kellow's biography Pauline Kael: A Life in the Dark; and James Wolcott's memoir Lucking Out: My Life Getting Down and Semi-Dirty in Seventies New York, which includes, apparently, lots of material about his friendship with Kael (before they had a falling-out after he published a sharply critical, even vicious, essay on Kael's acolytes in Vanity Fair in 1997). 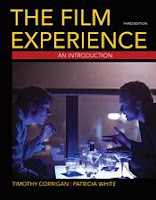 On the last day of 2009, I wrote a post about choosing a textbook for the Introduction to Film class that I was then designing. I'll be teaching that course again next term, along with another film class: Outlaws, Delinquents, and "Deviants" in Film and Society. Book orders were due at the beginning of this week, so I've been looking through film textbooks a lot over the last couple of months, and especially the last two weeks. 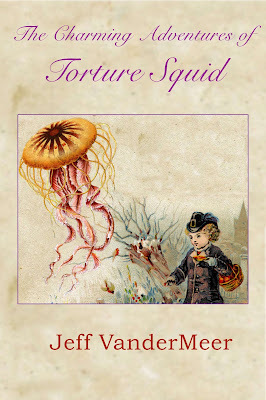 After my own previous contribution to the burgeoning academic field of VanderMeer Studies, I am happy to christen yet another field: Schaller-VanderMeer Studies, a discipline inaugurated in ivy-covered halls with the Illustrating VanderMeer exhibit. True (Schaller-)VanderMeer Studies scholars do not limit themselves to the study of half a VanderMeer, however, and so I am happy to present here a monograph by Eric Schaller about the woman who was described by Xaver Daffed as "the better half of VanderMeer" (325). This monograph was originally published in the Fogcon program book, March 2011. My previous post about The Encyclopedia of Science Fiction noted that it is in beta-text mode and so quite obviously incomplete. Among the lacks are entries on either Jeff or Ann VanderMeer. I am not a contributor to the encyclopedia nor am I in any way affiliated with it, but I do have a great interest in all things VanderMeer. The Encyclopedia of Science Fiction (3rd edition) is now in beta-text mode online for free, and even in this obviously incomplete form it's remarkable and fascinating. At Readercon this summer, in answer to the question of what works of SF criticism have been as influential as some of the seminal works of the 1970s and early '80s, I proposed the second edition of The Encyclopedia, a book that was not merely a collection of facts, but an argument about how to categorize the world and our imaginings of it. As such, it reduced even someone as taxonomy-averse as I to awe, and the influence of a lot of its idiosyncratic terms and templates on how people write about SF is undeniable. I'm a juror for the Shirley Jackson Awards this year, so perhaps I'm more sensitive than normal to pundits carping about award results, but something about awards brings out people's desire to complain, and they don't usually come out looking very good by doing so. The ones people always complain about get complaints again this year -- the Nobel and the National Book Awards. The two articles I've seen linked to most frequently are Tim Parks on the Nobel and Laura Miller on the National Book Awards. This post is the last in my chronicle of attending the Telluride at Dartmouth program at the Hopkins Center for the Arts. Days 1 & 2 (A Dangerous Method and Albert Nobbs) can be found here, Day 3 (We Need to Talk About Kevin) can be found here, and Day 4 (In Darkness)can be found here. It's the final week of the Strange Horizons Fund Drive, and there are lots of fun prizes that have been donated by the various folks who support SH. But you shouldn't donate just to get a prize. You should donate because that's what keeps SH going, and has kept it going for 10 years now, long enough to make it venerable. Their staff is all volunteer, but they pay their writers good rates (think of it as the opposite of the Huffington Post that way). Ray Russell of Tartarus Press has just put a lovely short film up on YouTube, a sort of autobiography via his book collection. Anyone who has ever felt the passions of bibliomania will find the film irresistible, and the shots of some of the rare books, especially by Arthur Machen and Sylvia Townsend Warner, are sensuous and gloriously bibliopornographic. This post continues to chronicle my attendance at the Telluride at Dartmouth program at the Hopkins Center for the Arts. Days 1 & 2 (A Dangerous Method and Albert Nobbs) can be found here, Day 3 (We Need to Talk About Kevin) can be found here. Hearing the news that the latest issue of the Writer's Chronicle contains a statement from poet Mark Doty that, "If you write a poem with the aid of a thesaurus, you will almost inevitably look like a person wearing clothing chosen by someone else. 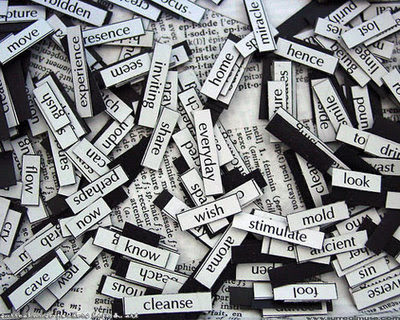 I am not sure that a poet should even own one of the damn things," I was aghast. Aghast, I say! Astounded! Appalled! Die, American Literature! Die! Die! Simply recording our appreciation for the "high truth quotient" (the measure Epstein wants) of a stream of canonical novels won't do. It's not clear what that "quotient" is for Epstein, but anything that smacks of pop culture is by definition excluded. 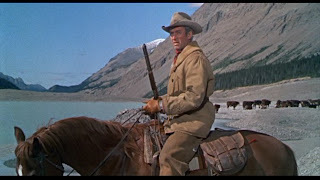 Yet novels were and remain a vital part of popular culture, and their emergence in the 18th and 19th centuries was greeted as an affront to the "centurions of high culture" who appointed themselves to guard the gates before Epstein nominated himself for the job. Only a tiny fraction of the hundreds of thousands of American novels published ever achieved—or even aspired to—the exalted status of high art. This post continues to chronicle my attendance at the Telluride at Dartmouth program at the Hopkins Center for the Arts. Days 1 & 2 can be found here. Lynne Ramsay is a director of exceptional visual and aural skill, as anyone who has seen her films Ratcatcher and Morvern Callar can attest. I adored Ratcatcher and found Morvern Caller rather a bore, which seems to be a somewhat idiosyncratic view, as lots of people who saw both loved the second film even more than they did the first. What we can all agree on, though, is that a new Lynne Ramsay movie is a cause for celebration. And when that new movie stars just about my favorite living film actor, Tilda Swinton, it becomes for me a great event. This year, I've decided to try to see as many of the films as I can, and unless exhaustion wears me down, I expect to see five of the six. 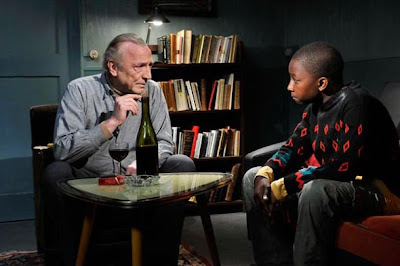 (Unfortunately, The Kid with the Bike, the new movie from the Dardenne brothers, is playing on a day when I have a prior commitment.) I won't do in depth reports on the films here, I don't think, because of a lack of time, but I do want to record initial impressions. The Revelator is Now Revealed! Eric Schaller and I have been working on creating an online version of a magazine some of our ancestors were involved with in 1876, and after a long period of work, with the brilliant and invaluable help of Luís Rodrigues, THE REVELATOR can now be revealed. 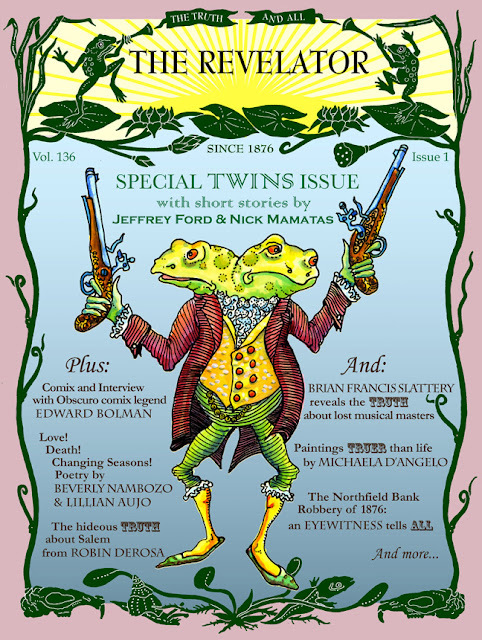 In it you will find two new short stories, "Gaslight" by Jeffrey Ford and "Nick Kaufmann, Last of the Red-Hot Superwhores" by Nick Mamatas; an essay about the relationship between Salem, Massachusetts and witches by Robin DeRosa, poetry by Lillian Aujo and Beverly Nambozo, an interview with and comix by Edward Bolman, an account of The Spleen Brothers by Brian Francis Slattery, paintings by Michaela D'Angelo, and an eyewitness account of the James/Younger gang's raid on the bank in Northfield, Minnesota -- an account unlike any others, and till now lost in the archives of The Revelator! My writing at this here blog has fallen off significantly since classes started, because I'm teaching six days a week (university classes during the week, a high school class in epistemology on Saturdays), and so my current schedule consists of prepping for classes, teaching classes, and then whatever errands, etc. I can fit into the occasional free minutes. But still the internet provides interesting stuff, regardless of how much I am paying attention to it! Imagine that! For instance, here's an advertisement from a 1968 issue of Galaxy that reveals which science fiction writers were in favor of the Vietnam War and which ones were not. I've seen the ad before (I have some Galaxy issues from 1968) but never paid much attention to it, really, until just now I noticed something odd. 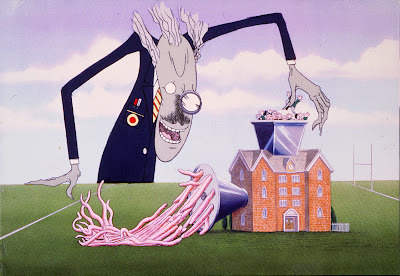 I haven't done my usual blogging about teaching yet this term, mostly because I spent so much time trying to put a couple of new classes together that the idea of writing about it all wasn't very appealing. But now the classes are up and running, and so I can at least share some syllabi and thoughts with those of you who are curious. I was working on a post about the BlazeVOX asking-writers-to-help-subsidize-poetry-publishing brouhaha, and its connections to the criminal idiocies of so much academic publishing, and what the idea of "legitimacy" in publishing does for us as writers and readers, but the post got long and banal and so boring that I started falling asleep while I wrote it, which is a bad sign, so I abandoned it, but I've still been keeping one eye on the discussion. 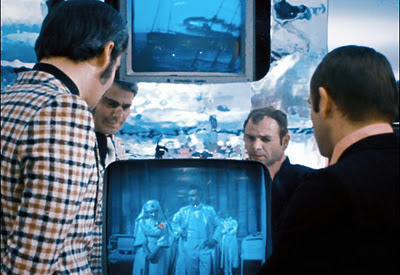 My latest column is up at Strange Horizons, and this time it's about Rainer Werner Fassbinder's epic science fiction film World on a Wire (Welt am Draht). 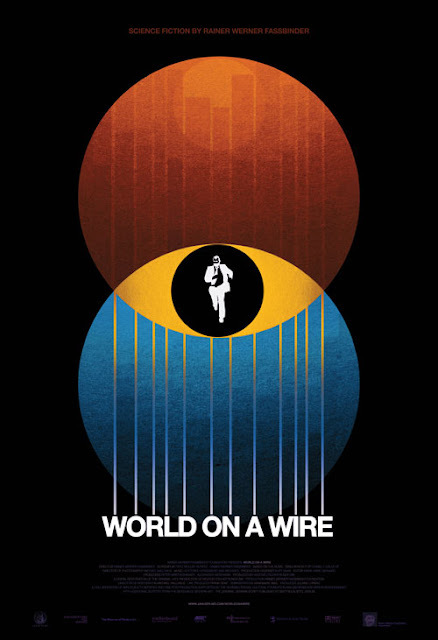 If you want to see World on a Wire (and you should! ), it's available on home video in the U.K. and Europe, and in the U.S. can be seen via Hulu if you subscribe to Hulu Plus (you can get a free trial subscription for a week, or if you have .edu email address, for a month). Rumor has it that Criterion will be releasing the film on DVD and Blu-ray in the U.S. at the end of this year or the beginning of next [update: the rumors were true]. It's also still touring various U.S. cities -- at the end of this week, it will be at the Harvard Film Archive in Cambridge, MA. I hadn't read an ill-tempered screed against all things contemporary and academic for at least a couple of days, so it was with delight that I happened upon Joseph Epstein's Wall Street Journal review of The Cambridge History of the American Novel. What a hoot! Some sadistic editor at the WSJ assigned Epstein to read and review a book that was never intended for people to just sit down to read. It's a reference book, something for library shelves, a book to be cited, and, for its contributors, a credit for touting. That's not to say it's not useful -- were you doing some research on a particular phase of American lit, it might give good guidance, and I would find it especially useful with undergraduates to show them the wide range of topics that can be thought about, analyzed, studied. Like a 1,200 page collection of academic essays about American history. Useful for various purposes, but not really something to take to the beach or the bed.